I like sports. I competed in track and field (athletics) when I was younger, then played a bit of hockey, though as my body gets older I prefer to watch rather than play. Sydney 2000 Summer Olympics (several events). Rugby Union World Cup match, Canberra. Yankees baseball game at Yankee Stadium. Australian Open Tennis Tournament, Melbourne. Bledisloe Cup Game (All Blacks v Australia, Rugby Union). Boxing Day Test Match (cricket, numerous times). State of Origin Rugby Union decider, Melbourne. 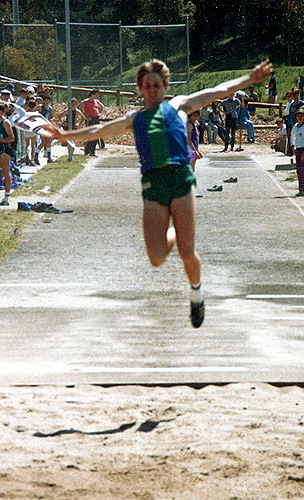 Athletics World Cup 1982, Canberra.